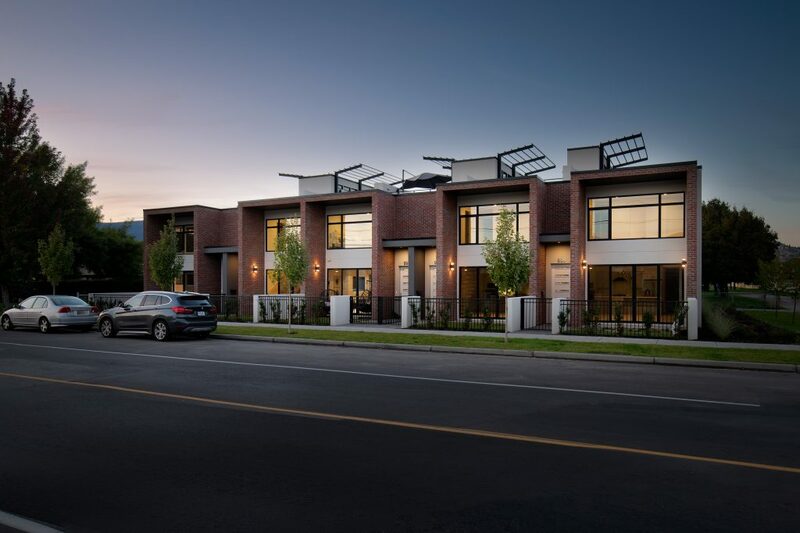 Introducing four stunning townhomes on Guisachan Road in Kelowna! These four townhomes were built by the Tommie award winning builders Gibson Contracting who won the 2018 single family home builder of the year award. 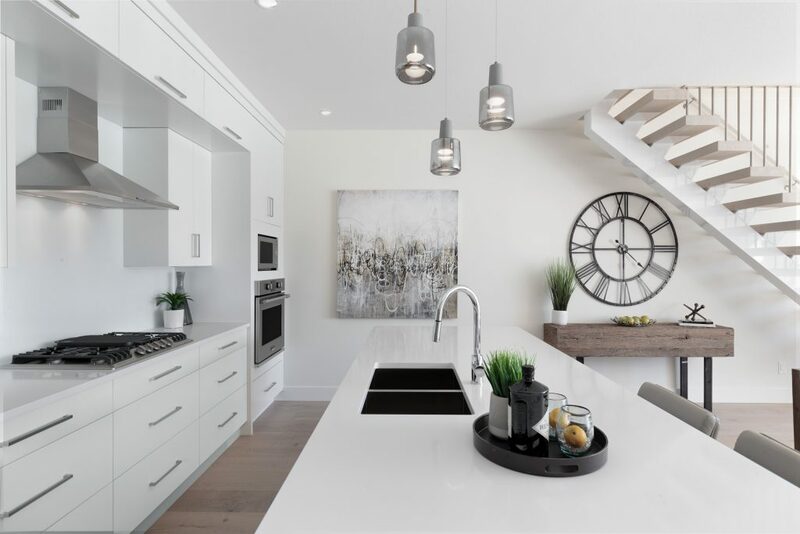 Located directly between the Kelowna General Hospital and the popular Guisachan Village, is where you’ll find these luxury home. Boasting 3 bedrooms plus family room, 1,830 square feet of interior living space and 452 square feet of outdoor living. Each townhome features a private rooftop terrace that is perfect for enjoying the Okanagan evenings and mountain views. Inside, walk into your grand level entry and enjoy your designer, open concept kitchen, dining room and great room. Optimal glass to wall ratio for better energy performance without compromising views and light! All bedrooms are located on the second floor. 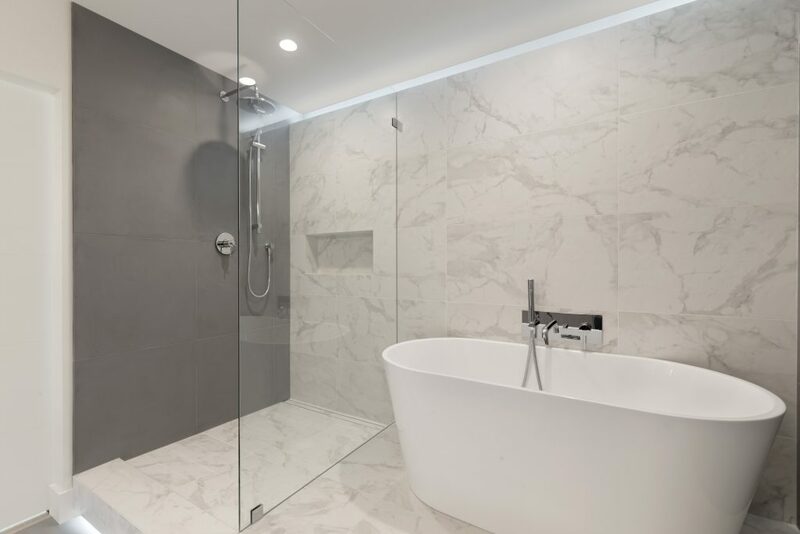 The master bedroom is complete with a 5 piece ensuite, which includes a modern glass shower and soaker tub. Perfect for winter evenings! Each home has an elevator upgrade available and are accessible for all. Easily bike or walk to your new favourite shops nearby and enjoy your crisp, clean and contemporary new home in a sought-after intimate neighbourhood of Kelowna. You’re invited to an Exclusive Evening OPEN HOUSE EVENT of these 4 MOVE-IN ready luxury townhomes! 990, 992, 996, 998 Guisachan are available for purchase! Tour these luxurious homes Tuesday until Saturday from 4:30 – 6 pm. ONLY 4 homes remain available and feature designer interiors and expansive courtyard and patios for outdoor entertaining.